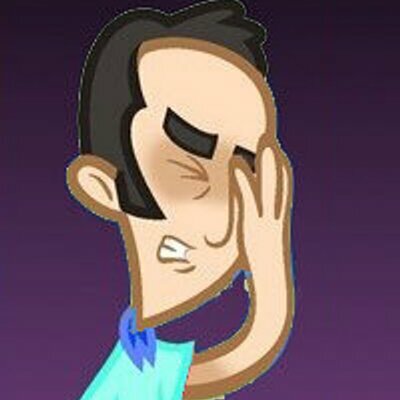 Matt Catches Up For Real: DC Comics From 1/25 - Wait, What? I’ve been looking at the DC Rebirth books monolithically, determined to catch up on entire runs before writing. It has been a slow, tedious process. At times, reading 12+ issues of a book has felt like too much, like trying to eat six bags of cotton candy in one sitting (as opposed to spreading them across two or three sittings, like a sensible person). This Last week, I tried something different. Rather than sifting through the week’s review books and filing them by title to return to in a run, I decided to just read them as a batch, as if it was my haul from the store. Part of the mandate of these books is to be fun and readable, I think, so why not try just, y’know, reading them, regardless of how much backstory I had handy. At a minimum, it turned out that this was more fun than slogging through an extended backlog of Superman books. More detailed capsules are after the jump. Kamandi Challenge #1, written by Dan DiDio and Dan Abnett, drawn by Keith Giffen & Scott Koblish and Dale Eaglesham, with colors by Hi Fi. Hey, this was fun! Pass-the-baton serialized fiction is one of those things that is almost always more fun to contemplate than to actually experience, whether the baton is being passed by you and your stoned friends at a party or the top creators at a major comics publisher. But this first issue delivers on the concept really well. It’s easy to mock Dan DiDio for a lot of things (up to and including having a name that sounds like the landlord in a live-action Super Mario Brothers movie), but his deep love for Jack Kirby’s work lets him write the introductory chapter here as an effective, affectionate pastiche, especially with Giffen doing his Kirby karaoke riff on art. They lay out a suitably warm and weird basis for this incarnation of Kamandi, and then the editors of the book (including, perhaps not coincidentally, DiDio) make another smart move by handing the baton to rock-solid comics utility guys like Abnett and Eaglesham. Those two have taken over enough books midstream or post-reboot on short notice that a deliberate game of exquisite corpse probably didn’t make them blink, and they riff entertainingly on talking animals and atomic gods and what-not, ditching some of the overt Kirbyishness but staying true to the spirit and tone of the project. And the book ends, as each issue will, with another nifty little filigree in this version of the game whereby you get a text piece from the preceding issue’s author explaining how s/he would’ve resolved the cliffhanger–a nice little bit of process wonkery that’s the small-scale version of John Byrne explaining what he would’ve done if he hadn’t left Avengers (or whatever). The whole thing is a fun idea, well-executed. Good comics. 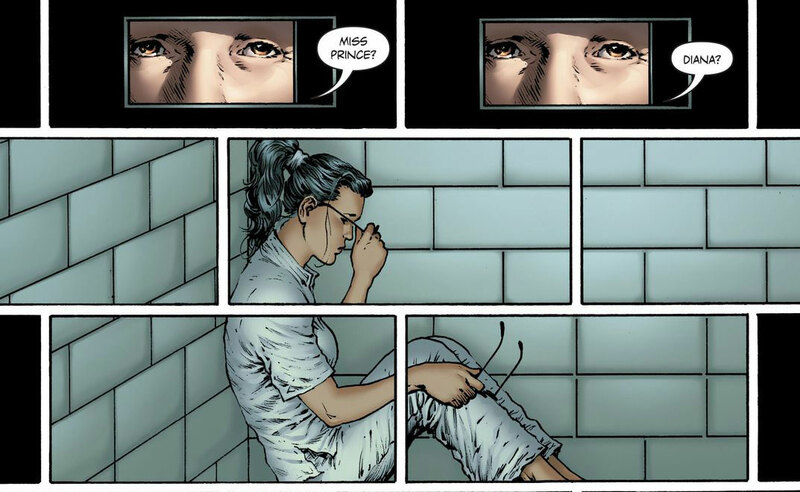 Wonder Woman #15, written by Greg Rucka, art by Liam Sharp with colors by Laura Martin. This is one of the books I have been keeping up with, so there should’ve been no real surprises here: another solid issue from Rucka, some more of the (mildly annoying) “true revelations” of Wonder Woman’s origin, and some stiff but workable art from Sharp. The first two are exactly what we get, but the third…I have no idea what prompted it, but this is the best work I’ve ever seen from Sharp. It’s ambitious and creative, effective and stylish, and just generally worlds beyond the veins-and-muscles stuff I associate with him. Interesting panel layouts, solid acting, and effective shifts in line weight and drawing style as dictated by the story–it’s terrific. Maybe the best issue of this run so far. Deathstroke#11, written by Christopher Priest, art by Denys Cowan & Bill Sienkiewicz, with colors by Jeromy Cox. I’m behind on Deathstroke–I’ve been saving it to read in chunks, which is how I think Priest’s work tends to work best–so I’m jumping in to this one cold. But it was great as well! 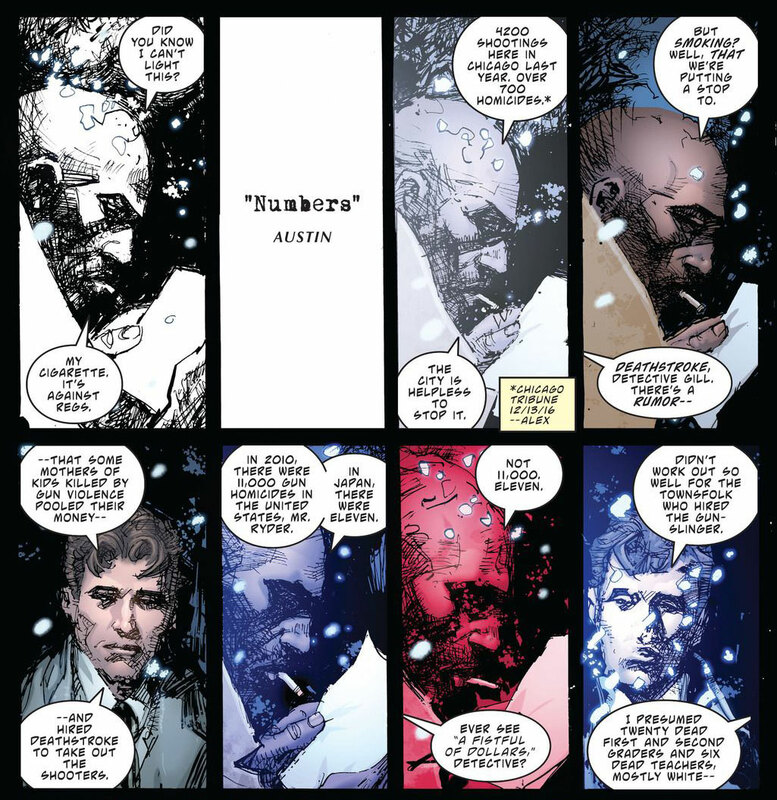 The art team is untouchable, of course–Cowan and Sienkiewicz not only have a combined, like, century of experience at this kinda thing, but they’ve also got complementary styles, and Cowan has worked successfully with Priest before on Steel. It’s a team that actually works will together, not just as a string of familiar names. That alone pretty much guarantees a solid-at-worst comic. But the story is vintage Priest, a twisty little crime piece that never quite goes where you expect, playing with social issues in all their ambiguity rather than as simple platitudes, and making the reader work just hard enough to keep up to make the whole thing feel earned and worth it, so the book is well beyond “solid at worst”. Another winner. Justice League of America: Killer Frost – Rebirth #1, written by Steve Orlando & Jody Houser, art by Mirka Andolfo with colors by Arif Prianto. I’m so tired of Amanda Waller, and I don’t even know why. I’ve been catching up on Suicide Squad, so that’s part of it, and I just watched that godawful Suicide Squad movie, so that’s part of it too. And she’s been in Batman, which I read. But it feels like there’s even more that I’m forgetting, and the result is that I just completely don’t care about any story that keeps repeating how badass and sinister she is. This is a perfectly fine comic–Orlando and Houser sell Killer Frost’s current situation, powerset, and morality, and tell a decent one-shot story to feed into their upcoming Justice League of America book, but my indifference to the corner of the universe it’s set in was too much for it to overcome. Forgettable. Batgirl #7, written by Hope Larson, art by Chris Wildgoose, colors by Mat Lopes. This one was a little rough. It’s a book that trades on the idea that Batgirl’s neighborhood of Burnside is gentrifying, but it already seemed to be pretty gentrified to begin with? If your gentrification story opens with a coffeeshop having been replaced by a boutique pet store, maybe you’re a little late to the story of this particular gentrification? There are high points here–a potentially interesting character in Ethan Cobblepot (the Penguin’s son), and some adorably expressive art from Wildgoose–but this book was mostly spots where I found myself bumping on plot oddities or slightly awkward dialogue hiccups. I really want to like this, but it isn’t clicking for me. Odyssey of the Amazons #1, written by Kevin Grievoux, art by Ryan Benjamin & Richard Friend, colors by Tony Washington. The only book in the package that I flat-out couldn’t finish. Much of that is down to the subject matter–I just don’t care about Amazon backstory–although the lettering doesn’t help (spare me from “scroll” captions with faux-archaic fonts), nor does the fact that there’s no one on that creative team that I have any particular trust in. Tried it, couldn’t get into it, couldn’t finish it. Not for me (but, to be fair, I wouldn’t have expected it to be, and wouldn’t even have tried it if it hadn’t shown up in my mail). 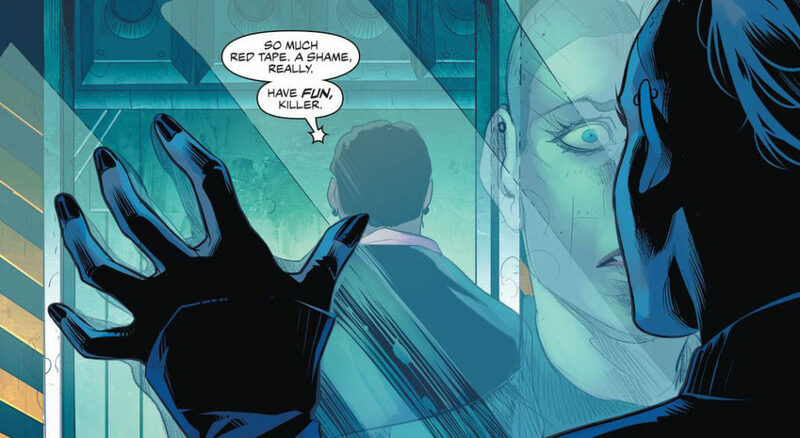 Detective Comics #949, written by James Tynion IV & Marguerite Bennett, art by Ben Oliver with Szymon Kudranski, and a coloring assist from Gabe Eltaeb & Hi-Fi. 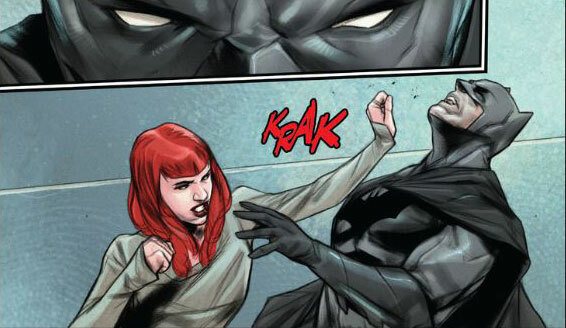 The “Batwoman Begins” storyline wraps up, setting up the status quo for Kate Kane’s upcoming solo book and bringing her past into the present of Detective. And my reaction to this one is the same as it’s been for almost every issue of this series since Rebirth started: it’s a perfectly solid serialized superhero comic that I would adore at a buck an issue (or as part of preview pack, for example) but don’t know that I would want to spend three bucks on every couple of weeks. This issue was stronger than many of the previous ones–a tighter focus than the de facto team book approach helped, as did some gorgeously striking Ben Oliver artwork. Good enough for what it is, but I can’t help wish that there was something more to really sell me on it. Hal Jordan and the Green Lantern Corps #11, written by Robert Venditti, penciled by V Ken Marion and inked by Paul Neary & Dexter Vines, with colors by Alex Sollazzo. 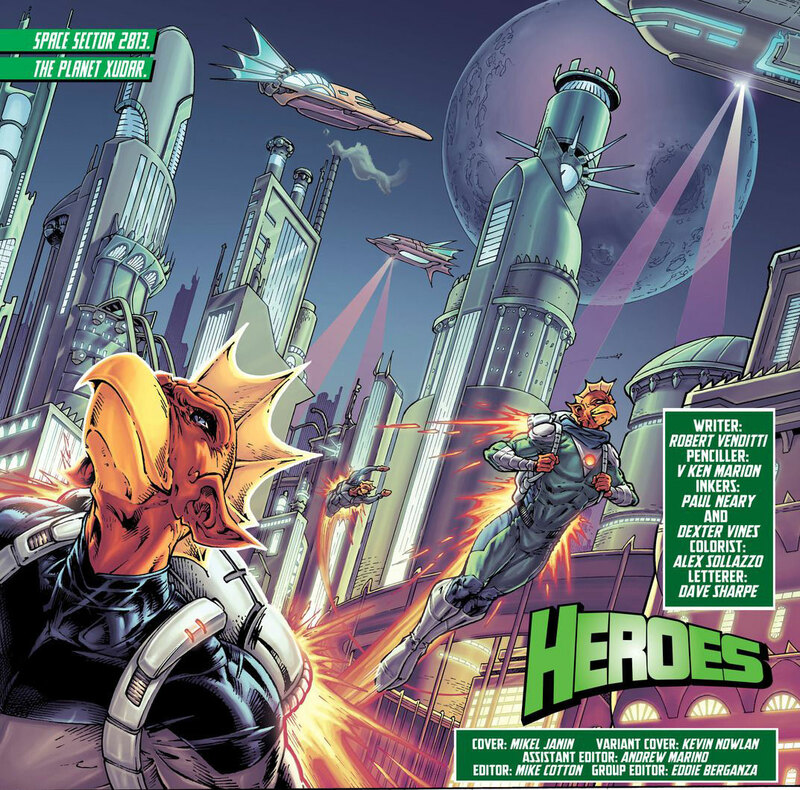 If there is one trope of superhero comics that I have grown to loathe over the years, it’s “alien tells a fable that encompasses events from the comic.” So this book, a bit of mythmaking on the planet Xudar with the bird-faced aliens that gave us such memorable characters as Tomar-Re and, um, Tomar-Tu, had a long hill to climb for me. It didn’t quite get there, but bless its heart does it try. Venditti does a pleasant enough rendition of this trope, gives the story a little heart. Marion’s artwork helps–it’s right in my “kinda like Art Adams” sweet spot, with a little bit of Jim Cheung’s giddy overrendering mixed in. But the real hero of the book is Sollazzo. The colors here are gorgeous, deep saturated purples and the inevitable luminescent greens and fiery oranges — and if it’s all a bit too much in a very Olyoptics-on-an-early-issue-of-Spawn kind of way…well, goddammit, happy Image 25th to all of us, and especially to 15-year-old me who thought that coloring was an amazing sea change. Nothing here makes me want to read more of this book, but I’ll happily flip through the pages every now and again to appreciate that glossy, goofy coloring. The reporter in the Deathstroke panels is getting his movie reference wrong, isn’t he? “A Fistful of Dollars” is about a gunfighter trying to play to rival gangs off against each other to his profit. Everyone in both gangs ends up dead, and the remaining townsfolk are freed from their tyranny, so that seemed to work out pretty well for the townspeople (who didn’t seem to derive much benefit from all the gun-running and liquor dealing the gangs were doing). Maybe he meant High Plains Drifter. Anyway, thanks for doing these reviews Matt. Detective Comics is the only one I’d been considering buying, but I could never quite go for it. You’ve convinced me I made a good decision. Kamandi Challenge was definitely surprisingly fun. I attribute a lot of that to good art teams and an inherently enjoyable premise. 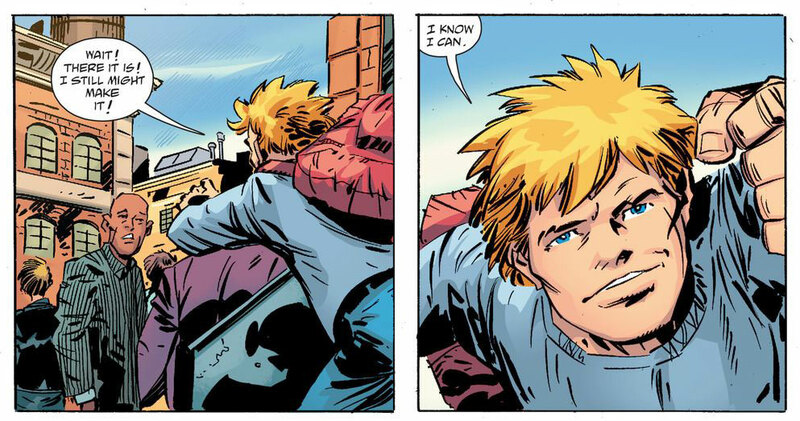 Eaglesham has really leveled up in the past few years and I always enjoy Giffen in Kirby-mode. The series will inevitably be very hit or miss – can’t wait to see what Neal Adams, Amanda Conner, Tom King, Marguerite Bennett, Steve Rude, Tom King, Kevin Eastman, Walt Simonson, Gail Simone and Ryan Sook bring to the table, but a lot of the writers are, as you put it, utility players and there are some weak-to-mediocre links like Jurgens, Tynion, Tan etc. Stiil, if they can keep up the level of fun in the first issue, I’ll be happy.